Young Neighbors in Action, a Catholic organization, sent 60 teenagers and 20 adults to Tijuana, Mexico for a chance to help the poor. The volunteers were from California, Nebraska, Illinois, and Connecticut. The people they helped were very poor. They lived in cardboard shacks that had dirt floors and no roofs. Sheets made up walls. There was no in door plumbing or electricity. Their clothes were hand me downs that were handed down many times. Their meals were comprised of foods we would toss out because they had expired. Each group was assigned tasks for the week. The Nebraska group helped repair homes, planted gardens, and dug trenches. The Connecticut group worked in the soup kitchen and renovated a chapel. The Illinois group built a house. The California group helped at the food bank. The volunteers had a chance to meet with the people of Tijuana as well. 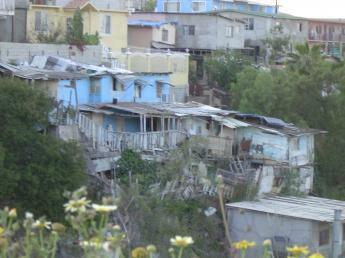 There was a stark contrast to the abject poverty of the people of Tijuana and the modest wealth of the volunteers. While those volunteer did not feel rich, they realized just how much they had compared to those in Tijuana. Tijuana is not the only place that YNIA goes to. Each summer they go to several locations with different groups of volunteers. They help provide needed services and give their volunteers a sense that they can affect change even on a small level.